Every year a talk is held by the International Institute of Tao Studies in Kuala Lumpur on what the New Year brings, and how to turn on the auspicious and prosperous flow of qi the Tao way. Chinese New Year falls on February 8, but the Year of the Monkey really begins on February 4, at 6pm. It’s the day of the Spring Arrival, and babies born on February 4 would be considered as being born in the Year of the Monkey. The Year of the Monkey is known as the Bing Shen Year. Bing is the Heavenly Stem and Shen is the Earthly Branch. 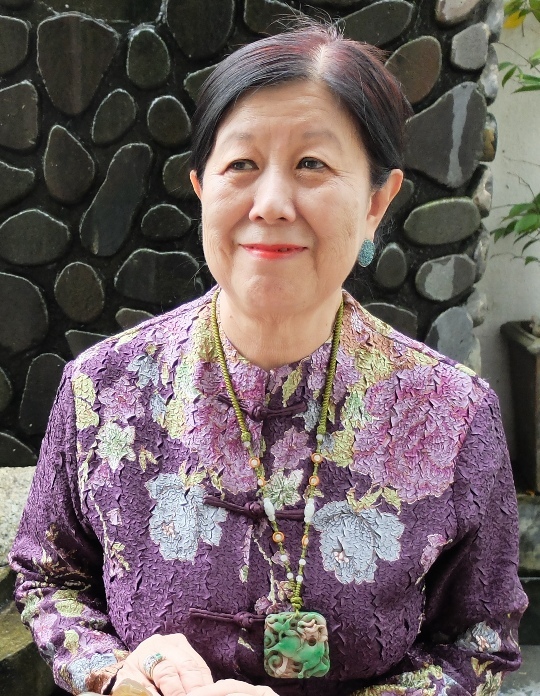 “Bing is Fire and Shen is Metal,” said Tao scholar Dr Geraldine Goh (pic, below), who heads the International Institute of Tao Studies in Kuala Lumpur. “The phonic sound of Bing Shen is Mountain Bottom Fire. The Purple White Star No 2 gets into the centre court, which is Earth. The Earthly Branch Shen has only a little water. Three elements – Fire, Metal and Earth – are present for the Year of the Monkey, but Wood is missing while Water is still lacking. Geraldine uses the five approaches based on Tao studies to find out what the year will bring. These include Qi and Symbolic Implication of the Heavenly Stem and Earthly Branch, the Six Cylinder Theory, Numeric Implication and Theoretical Reasoning of Purple White Star, Implication of I-Ching Kua for the year and references from Zi Wei Numerology. Looking at the elements, she concludes that Fire, Metal and Earth industries will do well, while those linked to Wood and Water may not. However, she cautions that there may be more than one element in an industry. For instance, Fire is food and energy, hence food industries should do well. Petroleum is Fire, Metal, Water and Earth. Lack of one element, that is Water, could be a problem. Earth industries would do fine, such property but mostly land with value. Banks are Metal, and there could be improvement. Wood is oil palm and rubber plantations. It’s also education, and people may cut spending for this. Water is about communications, trading, shipping and transport. The US will be outstanding in its performance, Japan will be stable economically and politically while Southeast Asia will have money coming in but also sudden problems. China will not be as good as its growth slows down. “This year, all over the world, there will be lots of Tuo Far or Peach Blossom luck. This means romances that will not last or may cause trouble to couples with the appearance of a thrd party. However, it is not necessarily all bad as politicians and showbiz people need this Tuo Far to get people to like them and boost their popularity,” said Geraldine. This year, if you come across problems, it will be good to approach those born in the Year of the Rooster, Pig and Dog as they are this year’s Guiding Angels. Spring arrival is on February 4, at 6pm. February 2 is the day for spring cleaning. You may begin from 4am to 6am, or from 8am to 10am. You may complete the job later in the evening. The same night, light up your whole office, and every room in your house to bring in the healthy Yang qi or energy. It’s customary to light up the whole office or house at night. Eat a fish that’s whole. Eat part of it (not the head or tail). On New Year’s Day you may eat the rest of it. This is to signify abundance or excess of wealth, and also means “yau tau, yau mei” (got a beginning and an ending). Also have a chicken for the reunion dinner as it stands for good foundation. On New Year’s Eve, give yourself and the rest of the family angpows. RM159 is to bring in success and a smooth sailing year, while RM168 is for prosperity. Of course you may make up smaller denominations for the angpows, such as RM15.90 or RM16.80. Sleep with the angpows under your pillow. Stay up late so that the elders will be blessed with longevity. You may open the main door from 1am to 2am or 8am to 10am on Chinese New Year’s Day. Walk to a south location between 10am and noon to a place of worship and make a wish for the year.